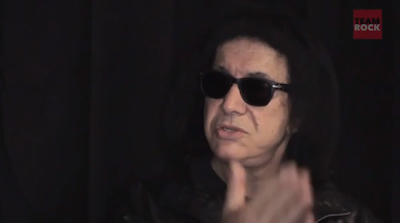 KISSopolis: Gene Simmons: "What Kanye West Said Is True, There Aren't Many Iconic Superstars Left In Rock"
Gene Simmons: "What Kanye West Said Is True, There Aren't Many Iconic Superstars Left In Rock"
We chat to Gene Simmons who tells us there's some truth to Kanye West's claims of being the world's biggest rock star. WTF! We recently caught up with Kiss legend Gene Simmons on the Metal Hammer Magazine Radio Show on TeamRock Radio and just had to ask his thoughts on Kanye West claiming to be the world's biggest rock star. You might be surprised by what Gene had to say!